How To Build High Quality Backlinks To A New Blog In 2019? Are you struggling to increase traffic to your new blog? Do you know why you’re not getting enough traffic from search engines like Google even after posting content regularly? If you’re launching a new blog or started a site recently, you know that traffic is significant and it is considered as the lifeblood of any profitable online business. The more quality traffic you get, the more sales you can make - it’s as simple as that. Majority of the blogs die within 3 months of the launch because of lack of website traffic. If you’re one among them who are struggling to get more search traffic, I’ve a quick tip for you: build high quality backlinks or have an effective backlinks strategy as soon as possible. 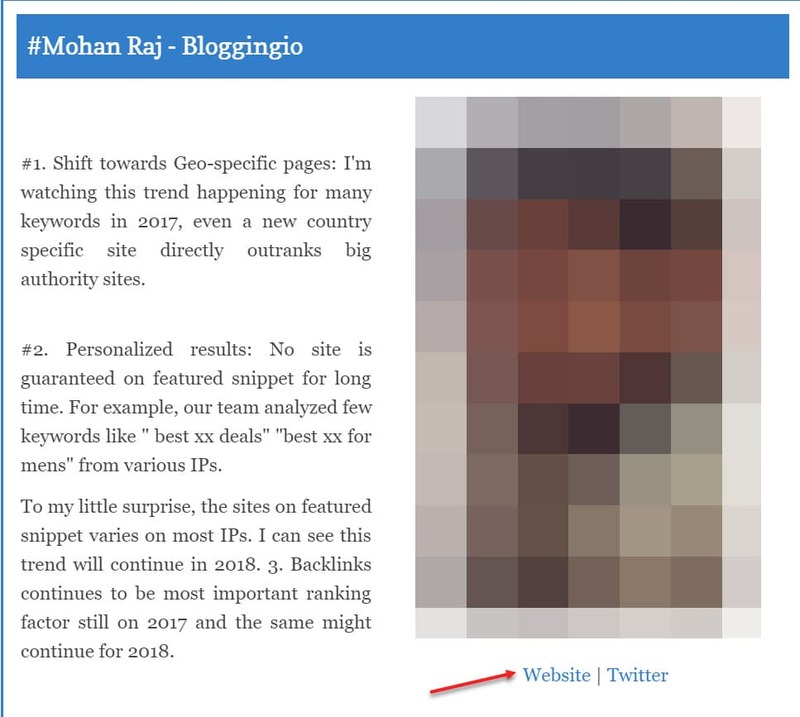 Backlinks are considered as votes by Google. The more quality links you build, the more search engine visibility and traffic your site will receive. So, how to build high quality backlinks for your newly created website? Here are few of the proven link building strategies you can use to build quality links to your new blog. One of the most common mistakes most new bloggers make while trying to build links to their site is they post thin and generic content and expect excellent results. Remember, the #1 link building strategy is the content itself! So if you’re posting average quality thin content, don’t bother about attracting links from other sources. Why would anyone link to your content if it’s brand new with generic content? That being said, creating highly engaging and in-depth content is the first step to build a blog that naturally attracts links from other sources. What is in-depth content and why it works best for SEO? I searched as "LSI Keywords" and Google shows these eight keywords as related keywords. You can add these type of keywords to the content in an natural way. 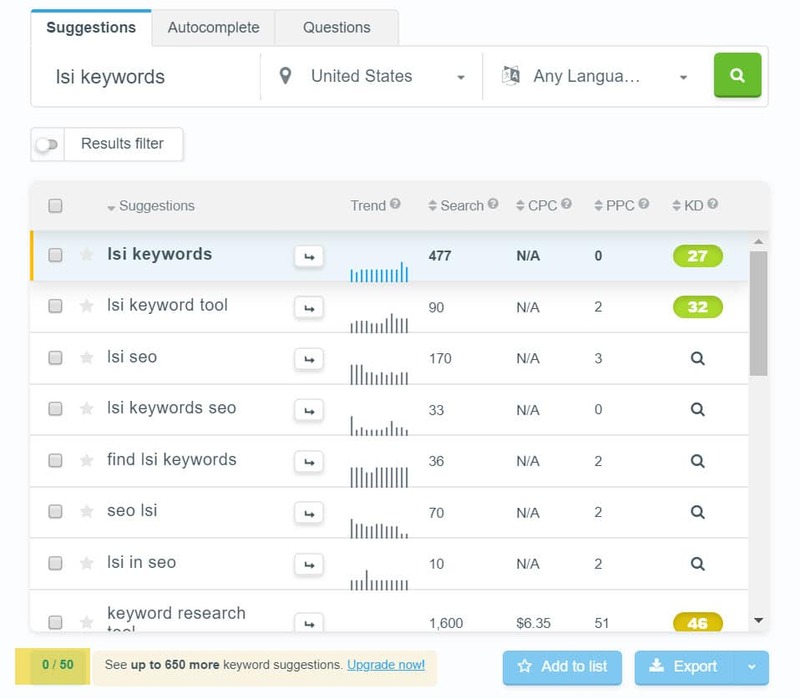 The efficient method is to some juicy tools like KWFinder and I searched as LSI keywords and even the free version of the tool displays 29 keywords which you can use to create a long form content. KWFinder also helps you to find question type keywords and also suggestions based keywords. If you’re wondering why should you create a long form or in-depth content, have a look at the below image. You can see from the above case study done by serpIQ and conclude that the average content length of top 10 search results on Google is over 2000+ words (2300 words average length for top 6 search results). So what did you learn? The long form of in-depth content always ranks well in Google search results. That’s what you need to create if you want to drive more traffic and attract high quality backlinks to your site. One of the easiest ways to get more backlinks to a fresh blog is to give testimonials along with your website’s URL and your name. It always works like a charm no matter what industry you are in. This site bloggingio.com got a testimonial backlinks from one of the product company. So how do you get links using this testimonial hack? The first step is to discover all the products, services, eBooks, plugins, etc. that you personally love and use on your blog. Then, start emailing the people who created those products to let them know how much you love them. Also, ask if they are interested in getting a personal testimonial from you (most people, especially the companies that are new and growing, will say yes because they need real feedback from real customers and it also acts as a powerful social proof to increase their sales). So this is a win/win approach for both product creators where they can get social proof and for you where you can get links. Or you can also find out their Twitter or Facebook (or any other social media platform where they are active) to tell them about how much you love their products or services along with your testimonial offer. There are so many bloggers across all industries who regularly do link roundups. Some of they do these roundups weekly, and others do once in a month. No matter who’s doing link roundups, start participating in them (to attract links from other blogs every week). This is how I got a backlink to my site from a link round up post. So how can you get started with it to build backlinks to a recently launched blog? Replace “marketing” with your niche (fitness, technology, blogging or anything that your website topic is based on) to find out all the sites that usually do link roundups. Step 2: The second step is to start engaging on those sites. You can make comments, start sharing their posts or even link to their best posts to start building relationships with the bloggers who are already doing link roundups. It gives a great chance for you to get links from those sites whenever they are doing link roundups on their site. Step 3: Email the owners of the site who usually create link roundup posts by sharing your best content. You don’t have to do this every week but only provide your best of the best content so they can link to you in the future. Leo Babauta, Danny Iny, Gregory Ciotti - all these great bloggers have built their audiences and made huge profits starting with guest posting on other blogs. That being said, here are few tips you can use for effective guest posting. Find out the sites where you want to write guest posts. If you’re starting out, start with small blogs with the good audience (where you see 10+ comments, social shares, etc.) Then, you can start writing for more prominent blogs in your niche once you get enough guest posting momentum. You can use keyword search strings like “your blog topic” + “write guest post for us” (for example: “blogging+ write guest post for us”) to find all the sites that accept guest posts. Another method is to check your Competitors guest post. Use some of the backlink checker tools and enter your competitors URL. The tools will display list of sites where guest post have been published. Analyze your top 10 competitors and make a list of guest post sites list and start your email outreach. Learn to write compelling emails with great subject lines because you’ll pitch a lot of bloggers every week for guest posting opportunities. Always think about win/win approaches and pitch your guest posting ideas after reading their guest posting guidelines. Since you are a newbie and want to attract powerful backlinks, start doing expert roundups with influencers in your industry. Even the authority sites like Ahrefs, SEMrush are doing expert roundups for a reason: they know those posts attract a lot of online buzzes and attract backlinks like crazy and below are such examples. So if you’re not yet doing expert roundups in your field, start doing it. Here are some solid tips you can use for efficient expert roundups. Pick a topic that’s already popular in your niche, then come up with the most powerful question you can ask and use in expert roundups. For example: emailing people in marketing industry about “3 SEO tools you can’t live without” can persuade them to participate in your roundup posts as well as it also gives you a chance to use affiliate links while mentioning those tools on your blog. Research about other expert roundups in your industry. Make a list of all the bloggers who are already actively participating in expert roundup posts so you can easily convince them to join your roundup posts even if you’ve a new blog. The essential step in doing expert roundups is email outreach. If done right, you can expect 50% of people you email participating in your roundup posts. So make sure to use great questions and subject lines to contact other bloggers via email. Although most of the social media links are of nofollow, but they add a ton of value whenever you attract them to each one of your blog posts. They also are great for backlink diversifying because building only dofollow links can do more harm than good in the long run. That’s why you need to diversify your backlink profile by keeping a proper ration between both dofollow and nofollow links (so social media links are really great for your website’s SEO in that aspect). You can ask other bloggers to share your content and use Facebook groups, Pinterest boards, and Google Plus Communities to increase your social media shares. Joining and taking part in Forums is a genuine link building strategy for a recently created blog. You can add your site URL as a signature and give as a reference for someone’s query. Apart from backlinks, your sites will receive tons of targeted traffic and social shares. Here is one of our Quora profile which got 12,000+ views, 2500+ upvotes and 33 social shares. Likewise, you may make use of the blogging communities to interact with the co-bloggers, gain some exposure and earn backlinks as well. I hope that you have come to know “How to get high quality links to your new blog?”. Now, let me tell you a few black-hat link building strategies that would make you face the “Penalization”. So, it’s better to avoid the following tactics and stay authoritative! I don’t say link building is dead. If anyone ever tells that creating the links for the site is a fruitless approach, don’t believe them. Link building practices have changed! If you are in a competitive niche to some extent, you always need to practice the backlink strategies that work like a charm even in the long term. Above link building strategies work great especially for new blogs so make sure to implement them one by one to see great results in terms of backlinks and traffic to your site. Share your thoughts in the comments and also let me know your favorite link building tactics one can use to build links for a brand new site. Glad you liked the blog post. Stay tuned for the upcoming posts. for new blogs which is the best time to start making the backlinks? I would like to appreciate you for reading the post. First, do the keyword research and find out the rankable keywords related to your niche. Then, as Mohan said, focus on developing some quality articles. After a month, you may start building the backlinks from relevant sites. These are really smart tips for those who are just starting a blog. Getting traffic is really important for online businesses who utilize their site analytics and want to prepare for growth. Implementing even one of these backlink strategies could make all the difference. Thank you so much for sharing! Yes! I agree with your viewpoint. Getting the targeted traffic is the key to get success and it can be done by doing the keyword research, writing in-depth content and building authority backlinks. There is a lot of work that goes into building quality backlinks, the key here is to be consistent. One good way that you outlined is writing longer content. Thanks for the tips. Yes, Leann! I accept that the consistency in building the quality links is the key to perform well in the search results. 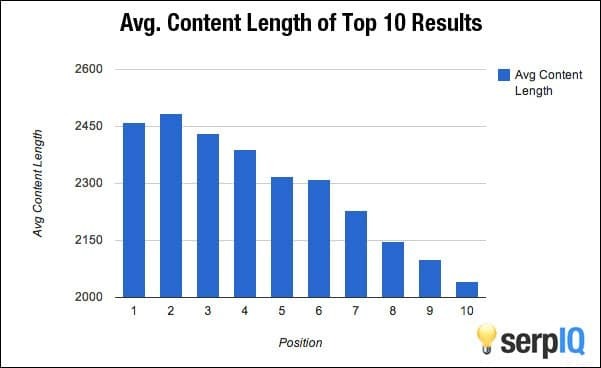 There is no doubt that the long form content has a dominant role in bringing the organic traffic to our blog. Thanks for reading my guest post and sharing your thoughts, you are welcome! You have written such an amazing post. I utterly agree with your points. Also According to me, If we have a new website, we should focus on content, follow other top bloggers, observe the way they write and practicing things on daily basis. Meanwhile, we have to make a good connection with others people in the same niche via social media, blog comments etc. Because you know that we can’t get a good opportunity if I talk about guest post. If we have good connections with others and a genuine audience then It’ll definitely work. I like this post a lot, Thanks for sharing with us, Keep it up. Thanks for your kind praising words, Maria, glad you like the post. I 100% admit to your opinion that the content should be focused in the initial phase of blogging. Maintaining a good relationship with the fellow bloggers would let gain some exposure. My pleasure to contribute the useful piece of content for the budding bloggers. Keep in touch. Excellent tips Nirmala for high-quality link building! Thanks Akash for checking the link building tips for the newbies. I’m glad about your kind appreciation. Getting good quality backlinks is a challenging task and it is one of the biggest hurdles of new bloggers. You’ve shared soma amazing ideas for building backlinks. Networking with like-minded people and sharing their content throughout the day can also help in getting natural backlinks. When other bloggers know you and have read your blog, there are good chances that when they’re writing a new article, he/she would link to your post given that you create high-quality articles. Good to see you here, thanks for reading my post. Yes, building the powerful backlinks for a new blog is a critical task and should be done with care. I accept your viewpoint on creating the loyal relationship with the co-bloggers and yes, it would help in many ways. Stay tuned to this amazing blog for the upcoming blog posts. It’s nice that you are sharing these backlink tips with new bloggers. I wish I had a post like this to read back when I began blogging five years ago! It’s nice to see your comment on the blog post. Great that you are on the right backlink track, keep moving! A couple of years back, the competition was less and we were able to rank higher with fewer efforts. However, things have changed now! If a newbie blogger chooses the competitive niche, then they should be aware of the backlink methods that actually work. Hi Nirmala, you did a very good job! You have written such an amazing post. I utterly agree with your points. Thank you, Kathleen for getting time to read my guest post, glad you found it useful. I would always like to share my knowledge with the upcoming bloggers because I have struggled a lot during my earlier phase of blogging. And now, I’m familiar with the essential things that should be focussed more. Very informative blog. Thank you for sharing the article. Glad we could help, stay tuned for the upcoming blog posts! Most welcome! Thanks for reading the post. Thanks for reading my guest post and commenting. I agree with you that the Guest blogging is one of the best link building strategies and yes, I’m focussing on it. However, contributing a low-quality, fruitless piece of content would not help much. Content quality matters! Thanks for the helpful article. Great topic to building Quality back links to increase the traffic of my blog. Now, your step by step instruction, I will improve my blog website performance. Thanks for sharing valuable information!! Very interesting blog and has increased my knowledge. Your article always very helpful and informative. I am very proud that you are share the article that is very useful backlinks are considered as votes by Google. The more quality links we build, the more search engine visibility and traffic our site will receive. very nice information. Really informative and helpful. LSI keyword idea is great!! Does the backlink profile have good in 2018? According to me, Quality backlink matters, high-quality backlink still works. What a great post, I will suggest your blog to my friends because here I found very legit information. I think all should focus on natural link building. You cannot force this process. No desperation here. The best links occur organic-wise, through skills developed, value generously shared and friendships established.